If you are interested in getting rich, or just doing significantly better in the long-term, then I have a bit of advice. A serious chunk of the wealth you’re going to accumulate over your lifetime is going to be in your retirement accounts. That’s because the Government encourages you to use them, and it’s very hard to tap into them early. You get tax benefits for leaving them alone and allowing them to grow. The amounts that you can deposit into retirement accounts change all the time. This year you can put $5, 500 into an IRA ($6, 500 if you are over 50) and $18, 000 into a 401k. If you’re age 50 or older, you can make additional “catch-up” contributions. Take the maximum amount that you can deposit into your retirement account and divide it by 12. Now, multiply that amount by 65%. That’s the amount you have to cut in spending in order to maximize your contributions. Let me provide an example. Let’s say you save nothing now, but you want to start maximizing your IRA contributions. If you’re under 50, the maximum you can contribute is $5, 500. If you divide that by 12, you arrive at a monthly contribution of about $458. The good news is that you don’t have to cut your spending by that much to afford the contributions. If you’re in the 35% tax bracket (federal + state), you only have to cut your spending by 65% of $425, or $298 per month. This is because the nice folks at the IRS are going to give you a tax break to make up for the other 35%. You see, when you make your IRA contributions, you’ll have lower taxable income to report and therefore, lower taxes to pay. That’s why you won’t have to cut your savings by the full amount you deposit into your retirement accounts. Note: If you are participating in an employer-sponsored plan, the ability to deduct your IRA contributions is phased out above certain income levels. See IR-2010-108 for details. Every dollar you deposit into your retirement account could provide $5 or $10 when you retire. The specifics depend on how old you are now and how you invest your retirement money. And remember this, it’s not all that tough to save a few hundred dollars a months. In other words, you can cut back on your visits to a restaurants each month in order to secure your retirement. Isn’t that a good trade off? A special word to people with retirement accounts at work. You might hear horror stories about people who lost their 401k due to employer funny business. These situations are few and far between, and you shouldn’t use those stories as an excuse to not save. There are plenty of things you can do to keep your 401(k) safe from employer fraud. When it comes to retirement plans at work, you have until December 31st to make your contributions. Of course, if your situation changes during the year, you can always vary the amounts and contribute more or less in any given month. Don’t assume that once you set up a monthly amount for your 401(k) contribution, you are stuck with that amount for the entire year. You can simply call the HR department and presto – your amount can be changed. Here’s a tip: Front-load your contributions if possible. The sooner you deposit your money into your 401k, the sooner that money works for you. If you can get all that money into your 401k by September rather than December, so much the better. When it comes to IRA contributions, you have even more flexibility, as you can contribute all the way up until April 15th of the following year. That’s a full 4.5 months of extra IRA depositing fun for you. And don’t forget… You can use this extra time this year to make contributions for last year. What are you waiting for? As with employer plans, it’s better to make your IRA contributions early (and often!). Don’t wait for the last minute. Even though you can wait until April 15, 2018 to make your IRA contributions for 2017, you’d be better off making those contributions as soon as possible so that money can work an extra 16.5 for you. If you want that money to be there when you retire, you have to leave it alone. Maybe you can tap into the plan early or use your IRA or 401(k) for things other than retirement, but you shouldn’t. Unless it’s a medical emergency, nothing is worth tapping into your retirement money… Even if the idea seems really good. You might tell yourself that you’ll pay it back, but you probably won’t. When was the last time you had extra money laying around that you didn’t know what to do with? Probably never. Well, it’s not likely that you’ll get the money to repay your loan so don’t kid yourself. Leave the retirement money alone, okay? If you’re reading this and thinking about starting an IRA, the best time to do is today. Putting your retirement plans off until tomorrow can cost you more than all the other mistakes combined. There is always an excuse, and never enough cash flow. But by waiting you are dooming yourself to repeat the mistakes of yesterday. Even if you don’t have all, most or any of the money, open the account. Get a plan together to cut your spending, get a weekend job if you need to earn extra money. Whatever you do, start making it happen. 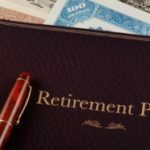 I believe Tamara is wrong about the 401k matching. When we’re talking about matching, it’s a match for the year, not each pay period. If I get a 3% match as long as I put in 6% of my salary, it does not and should not matter what time during the year I put in that full 6% to achieve the 3% match. Nothing is left on the table. I think it is important to start thinking about retirement as early as possible and really building up that savings account. I know in times like this it can be quite difficult to think about maxing out the savings account but if you want to retire comfortably you have to get into that mindset. I’m with Nickel. Over you investing life, you’ll do better by investing early. That also reduces the chances of spending it. Kathy: Technically, investing once per year, each and every year, is also dollar cost averaging, it’s just being done at a lower frequency. The key with DCA is to make consistent, periodic investments. Of course, as with any strategy to reduce risk, you also reduce your expected returns with DCA. The reason for this is that the market moves (on average) upward. Thus, putting your money in the market sooner increases the expected value of your portfolio in the long term. That being said, you can certainly get unlucky with a poorly timed lump sum investment and really suffer. One reason to space the 401(k) contriutions evenly throughout the year is dollar cost averaging. +1 to what Tamara said. Last year I put 30% in for the first part of the year and 8% (enough to max out my employer match plus a margin of error) for the rest of the year. In theory anyways – in practice due to timing I had to change the contributions multiple times throughout the year. And every time it was a crapsshoot as to whether it took effect in the next paycheck or the one after that. This year I am just contributing $634 per bi-weekly paycheck the whole year and saving myself the effort. Though, another reason to front-load contributions is if you might leave your job during the year. Even if you start another job immediately, it might not have a 401K or you might have to wait 6 months to contribute to it. You might want to note that if your employer matches some of your 401k contributions, you may short yourself on some of that money if you hit the limit on contributions before the end of the year. 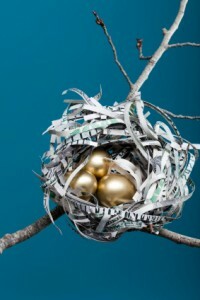 I really don’t like the idea of maxing out my retirement accounts since I would like to retire before I’m 70 years old! If I put all my money into my 401(k) and have nothing left to invest in the current moment, I’m going to be poor until very late in life. I’d rather put some money into a retirement account, and some into my fund for business ventures and attempts at passive income. This way I have a chance to retire when I’m 40 instead of 70.